Home Lifestyle The Distance between Jakarta & Berlin: 0 Kilometers! The Distance between Jakarta & Berlin: 0 Kilometers! When we approached the Admiralspalast, location of the opening, a sea of batik clad people circled the entrance. Wafts of sweet kretek smoke drifted into the Berlin sky. The Jakarta-Berlin Arts Festival opened with a bang…or rather with a gong, as Javanese artist Sayo worked on an enormous copper gong that produced low earth tones. 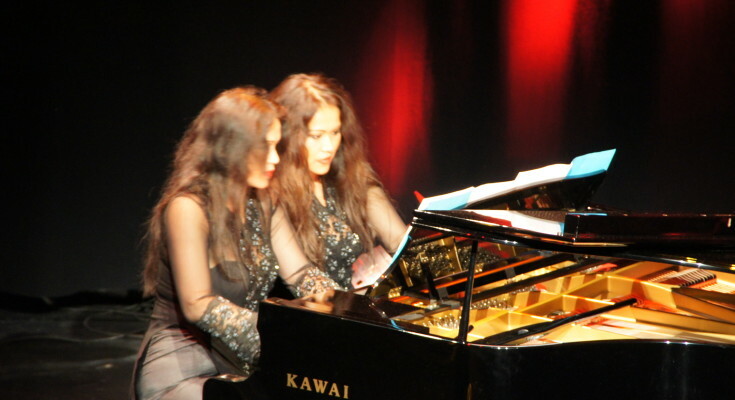 Next were the piano playing twin sisters Sonja and Shanti Sungkono, born in Jakarta, now living in Berlin. They played a piece composed for this special occassion by Indonesian composer Ananda Sukarlan. Their truly impressive sisterly cooperation left the audience wanting more. More information about these musical twins: Sungkono Sisters. Announced as the highlight of the evening, Paul Gutama took the stage. 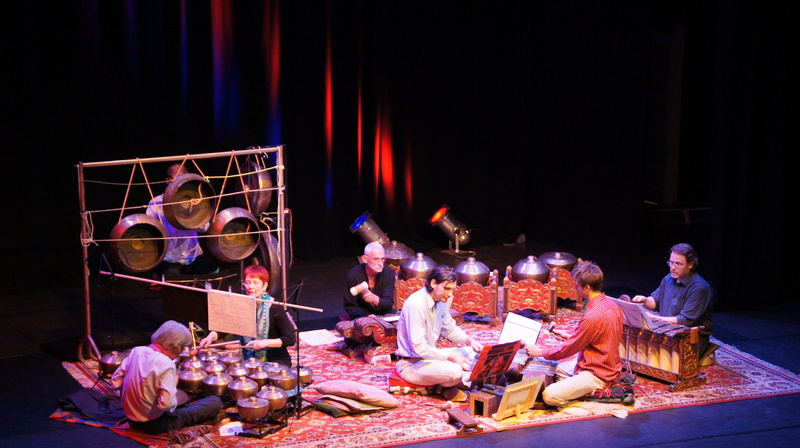 Paul Gutama is well known for his take on modern gamelan. He was accompanied by his wife and the all German Banjar Gruppe Berlin. The initial novelty of 1.90 meter long Germans folded behind gamelan instruments gave way to appreciation. Even though some parts were interesting, there were some glitches and the set wasn’t tight enough to captivate the audience. What did become clear at this first well-organized day is the enormous effort the organizers and volunteers put into this festival. We are certainly looking forward to the other events and will keep you posted!